Bethesda Softworks has today filed a complaint in US District Court against Behaviour Interactive and Warner Bros. for copyright infringement, breach of contract, and misappropriation of its intellectual property. The case arises from Behaviour’s development of a Westworld mobile game for Warner Bros. Behaviour had previously worked with Bethesda to develop Bethesda’s hit game, Fallout Shelter, and under that contract, Bethesda alone owned all resulting intellectual property, including the game’s copyrighted code. Behaviour illegally used the same copyrighted source code from Fallout Shelter to develop Westworld, and copied Fallout Shelter’s game design, art, animations, gameplay features, and other elements. As a result of Behaviour and Warner Bros’ unlawful conduct, Westworld is a blatant ripoff of Fallout Shelter with largely superficial, cosmetic changes. Bethesda will vigorously protect its legal rights in the valuable intellectual properties it owns, and take legal action whenever those rights are being infringed. Bethesda Softworks is suing Fallout Shelter co-developer Behaviour Interactive and Warner Bros. over the recent Westworld mobile game, claiming the latter mobile game stole code from Fallout Shelter. The claim accuses Behaviour Interactive of having "the same or highly similar game design, art style, animations, features and other gameplay elements" as Fallout Shelter. Most damning, Bethesda accuses Behavior of utilizing its access to Bethesda's IP, "copyrighted code, trade secrets, and other rights," to build the Westworld mobile game faster, cheaper, "and quickly bring the Westworld mobile game to market and offer players the widely popular gameplay experience found in Fallout Shelter." The full documents were acquired by Polygon and further allege that Behaviour used "the same copyrighted computer code created for Fallout Shelter in Westworld." Bethesda points to a set of bugs found in the Westworld mobile game that are identical to bugs from an early version of Fallout Shelter. Behavior Interactive worked on Fallout Shelter in 2014 alongside Bethesda. The studio then worked on the Westworld game, which came out on iOS and Android yesterday, since the show premiered on HBO in 2016. 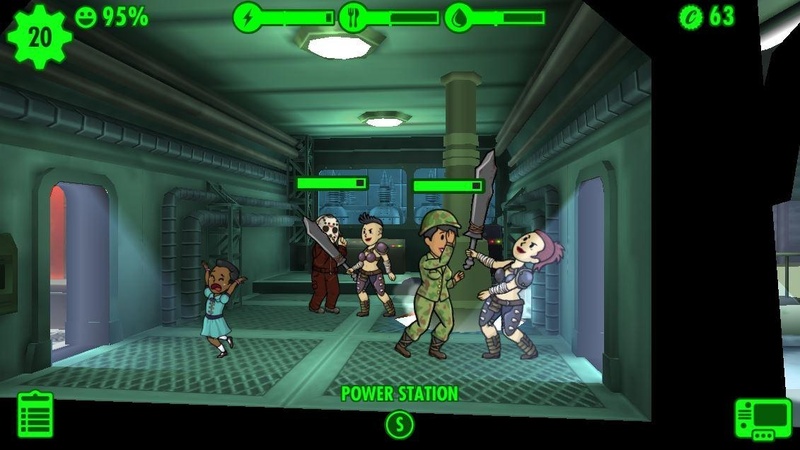 Bethesda recently announced the free-to-play Fallout Shelter for PS4 and Nintendo Switch. We have contacted Bethesda and Behaviour for statements and will update the story as more information becomes available. Tagged with Android Devices,	Bethesda Softworks,	ios,	mobile,	News,	Warner Bros Interactive Entertainment.